Silicone Dome Racing Cap with firm shape retention to prevent wrinkles for streamlined high-performance swimming. Printed logo complies with FINA racing standards. One size fits all. Silicone Dome Racing Cap with firm shape retention to prevent wrinkles for streamlined high-performance swimming. Printed logo complies with FINA racing standards. One size fits all. Tailored to your body shape. 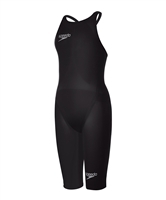 All over compression- LZR Pulse+ compresses and sculpts your body into the optimal hydrodynamic shape. Fully bonded seams- Ultra soncally bonded seams reduce skin friction drag by 6% vs sewn seams. Durable water repellence- Water repelling technology that lasts 40% longer. 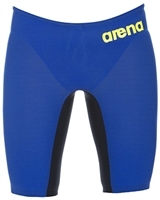 Regular waist height- The regular waist jammer style offers greater flexablity and may be preferred by breaststroke or IM swimmers. However, waist height comes down to personal preference. 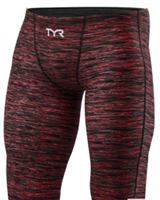 The ‘finishes’ (The areas around the waist and leg openings) have been improved since the last generation of Speedo Tech Suits for a better fit and easier entry into the suit without fear of damaging the swimwear. Fully bonded seams- Ultra sonically bonded seams reduce skin fiction drag by 6% vs sewn seams. Comfort- Anti-chafe straps softer, wider and feel more comfortable on the shoulders. Durable water repellence- Water repelling technology that last 40% longer. Open back style- The open back offers greater freedom of movement and maybe preferred by swimmers with arched backs. However, back style comes down to personal preference.